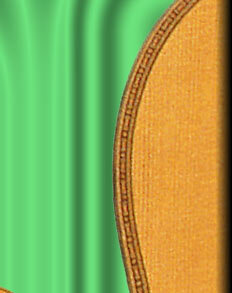 At one time Barcelona was second in importance only to Madrid as a center of classical guitar making. The city's current school of building can be traced to Enrique Garcia (1868-1922), who opened a shop there in the early 1890s after learning his trade in Madrid. Francisco Simplicio carried on the traditions of Garcia, and, as his only student, became successor to his shop. 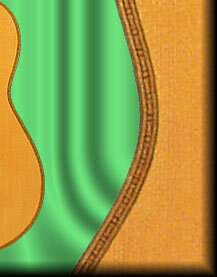 Barcelona makers often embellished their guitar headstocks with foliate carving, as in the present example. This instrument also exhibits Simplicio's tendency to make fancy guitars with wide, elaborate binding, many of which were sold to wealthy Spanish expatriates living in Latin America who had made their fortune in the Rio de La Plata area near Buenos Aires and Montevideo. Although not visible, the interior workmanship of Simplicio's guitars is particularly precise, perhaps a result of his earlier training as a furniture maker. About 1929, Simplicio conceived the radical notion of moving the soundhole farther up the body and straddling the fingerboard, which he reasoned would allow more of the top to be acoustically active. Although some leading players praised this improvement, it did not receive widespread acceptance, and it is believed that Simplicio produced only nine guitars of this model.